"A Government Lie. A Woman's Secret. A Story That Must Be Told." In this drama, an African American nurse works on a program to study the effects of syphilis on African Americans during the 1930s. At first she believes the study aims to cure the disease, but she soon learns that it has much more sinister intent. 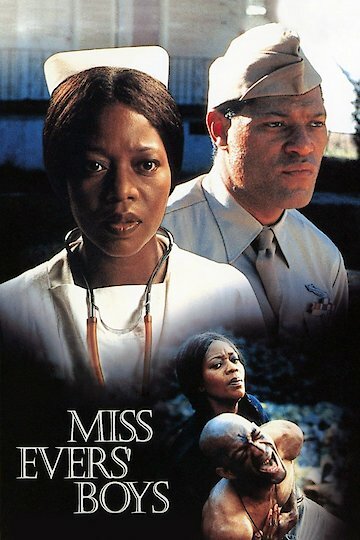 Based on a true story, the film stars Alfre Woodard and Laurence Fishburne. Miss Evers' Boys is currently available to watch and stream, download on demand at Amazon Prime, HBO NOW online.